While our hearts are full, our arms are empty since all of these sweet blessings live in other states now. 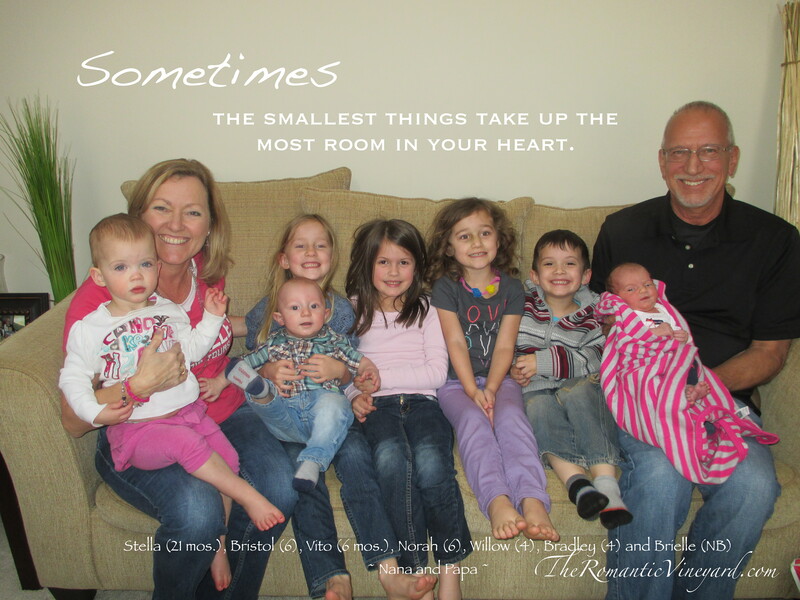 This is a new season for us–as close to an empty nest that we’ve ever experienced–and we’re sad. But God is in the changes, and we know that they are good. Good for our children. Good for our grandchildren. And good for us. I know this because God is good, and He is always at work even when we can’t see it yet. A month ago I posted about Pulling Up Roots. I talked about what needed to go to make room for what was coming–namely my old irises for my new dahlias. Well, I’m happy to update you on my flower bed, and here is what 6 weeks have produced. 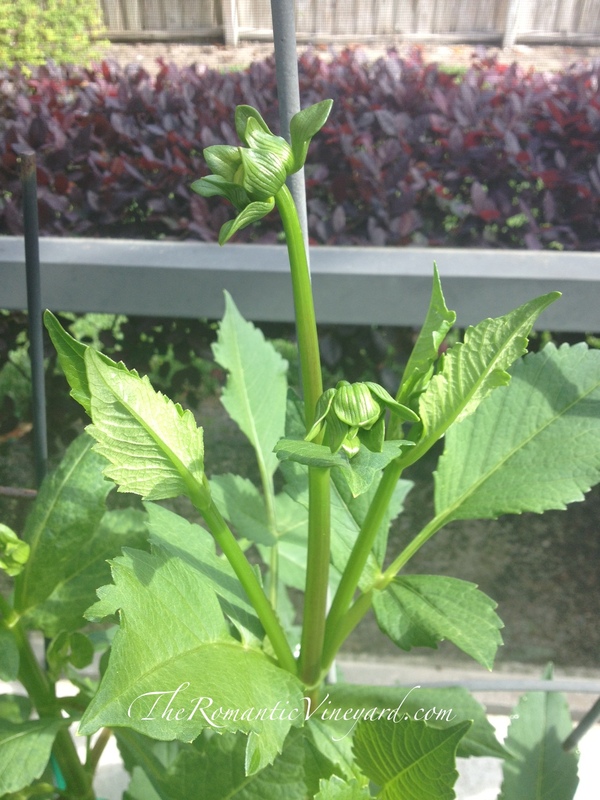 The buds are just forming and will soon reveal what each dahlia will look like. I love anticipating such good gifts from God. Come to think of it, children are much the same way. We love, we train, we encourage and we correct them, day in and day out. It’s exhausting work that seems to move at a snails pace. We wonder if our hard work is producing anything good or of lasting value. We doubt ourselves. We struggle to find the energy to face another day, another bad attitude, another sickness. It’s like pulling up an overgrown flower bed by the roots. But what motivates us is faith in God who gives us strength to do what we couldn’t do on our own. We anticipate the new growth that will come as a result of being faithful to do what we know to do. Parenting, like gardening, takes team work. It can be done alone, but it is much more difficult. Thank God you have a spouse who loves and cares for your children as much as you do. Of all the good things you can give your kids, having a strong, healthy marriage is one of the best gifts of all, just below saving faith in Jesus Christ. In whatever stage you are–married without children, married with young children, married with teens, or married in an empty nest–know that God is right there with you, ordaining every step of the way, even when it seems you can’t see His footprints. This entry was posted in Christian Marriage, Growing Strong Marriages, Open Nest, Parenting, Seasons of Life. Bookmark the permalink. This is such a sweet post and points to God so well. It’s nice to meet you too! Thanks for commenting and for reminding me to consider others and their needs to help me deal with my own disappointments. I look forward to reading more of your posts as well.